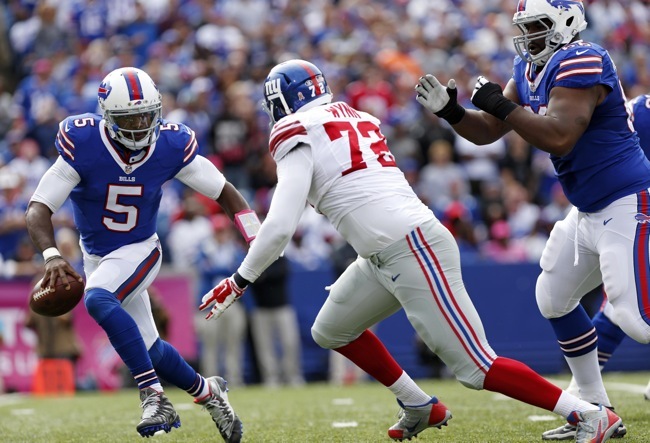 New York Giants restricted free agent defensive end Kerry Wynn visited the New England Patriots on Wednesday. 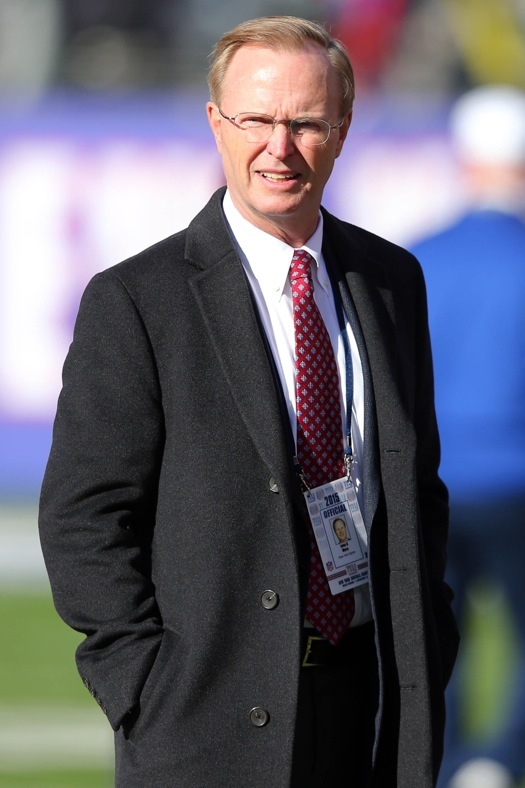 Wynn received an original-round tender (1-year, $1.797 million) from the Giants before free agency began, meaning that the Giants have the right to match any offer from another team. But since Wynn was an undrafted rookie free agent, the Giants would receive no compensatory pick for losing Wynn if they chose not to match the offer. Wynn saw his playing time decrease in 2016 (11 percent of defensive snaps). He played in 14 regular-season games with no starts and finished the year with 12 tackles and 0.5 sacks. Wynn was originally signed as an undrafted rookie free agent by the Giants after the 2014 NFL Draft. He has played in 34 regular-season games, with seven starts, for the Giants in his three years with the team. Wynn has a nice combination of size, strength, and overall athletic ability. Wynn is a better run defender than pass rusher as he lacks dynamic quickness on the outside pass rush. He is able to play defensive tackle in pass-rush situations. Jonathan Hankins' contract with the Colts is really 3 years for $27M with $14.5M guaranteed, per source. Can earn $3M in escalators. New York Giants unrestricted free agent defensive tackle Johnathan Hankins has signed with the Indianapolis Colts. ESPN is reporting that the contract is a 3-year, $30 million deal that includes $14.5 million in guaranteed money. The New York Post reported on Wednesday that the New York Giants offered Hankins a 4-year, $28 million contract when free agency began and that offer remained on the table. The Post also reported that Hankins was originally seeking a contract that would pay him $15 million per season, and later reduced his asking price to $10 million per season. Hankins started every game and finished the 2016 regular season with 43 tackles, three sacks, and one forced fumble. Hankins was drafted in the 2nd round of the 2013 NFL Draft by the Giants. Hankins has excellent size, strength, and overall athleticism. He is a stout run defender who occasionally flashes on the pass rush. The Giants are currently very thin at defensive tackle with only three players on the roster: Damon Harrison, Jay Bromley, and Robert Thomas. 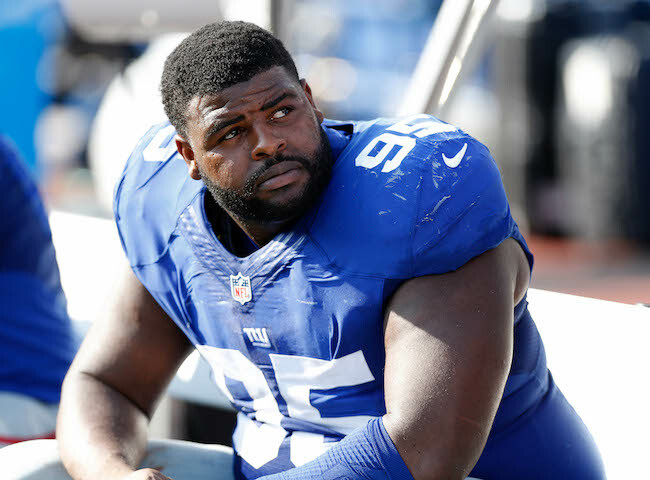 New York Giants unrestricted free agent defensive tackle Johnathan Hankins visited the Indianapolis Colts on Tuesday. The Giants and Hankins have been at a contract impasse since free agency began in early March. The Giants would very much like to re-sign him, but his asking price has been too rich for the team. The New York Giants 2017 preseason opponents have been announced. Specific dates and times for three of the opponents have not yet been released. 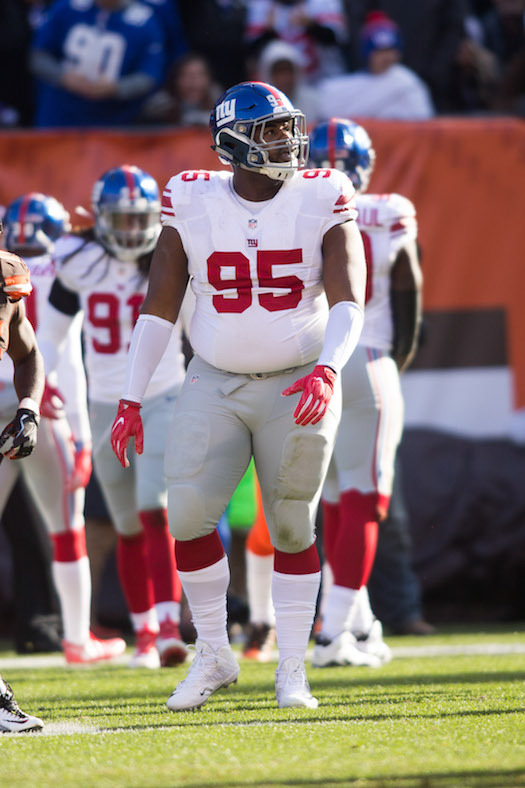 The NFL Network is reporting that the New York Giants “continue to offer (unrestricted free agent defensive tackle) Johnathan Hankins a multi-year deal that stacks up well in this free agent market.” Hankins is the team’s last high profile free agent. 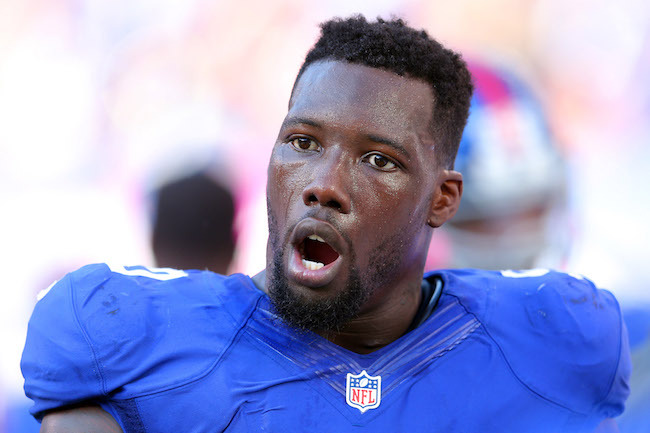 According to press reports, the New York Giants and defensive end Jason Pierre-Paul have agreed to a four-year, $62 million contract that includes a $20 million signing bonus. Pierre-Paul was designated the team’s Franchise Player on February 28th, counting $16.934 million against the 2017 salary cap. Pierre-Paul started 12 games in 2016, but missed the remainder of the season with groin and sports hernia injuries that required surgery. He finished the year with 53 tackles, seven sacks, eight pass defenses, and three forced fumbles. Pierre-Paul was drafted in the 1st round of the 2010 NFL Draft by the Giants. His best season came in 2011 when he accrued 86 tackles and 16.5 sacks. 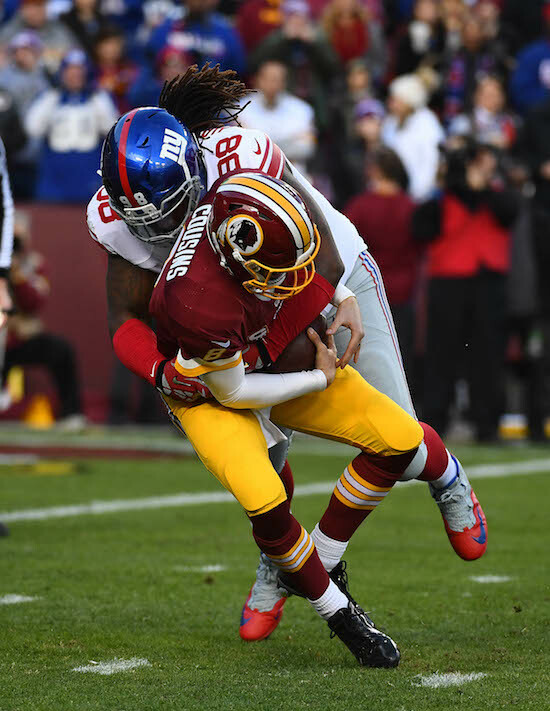 After not missing a game in his first three years with the Giants, Pierre-Paul has not completed a full season in three of the last four years, including 2013 (herniated disc and shoulder injuries) and 2015 (fireworks accident that permanently maimed his right hand). Pierre-Paul has an excellent combination of size, strength, and athleticism. When healthy and focused, Pierre-Paul can be an explosive, disruptive difference-maker against both the run and the pass. His tremendous wingspan helps him to bat passes down at the line of scrimmage (42 career pass defenses and 2 interceptions). As a pass rusher, he can beat blockers with both power and movement skills. Pierre-Paul is a very good run defender, both at the point-of-attack as well as in backside pursuit. 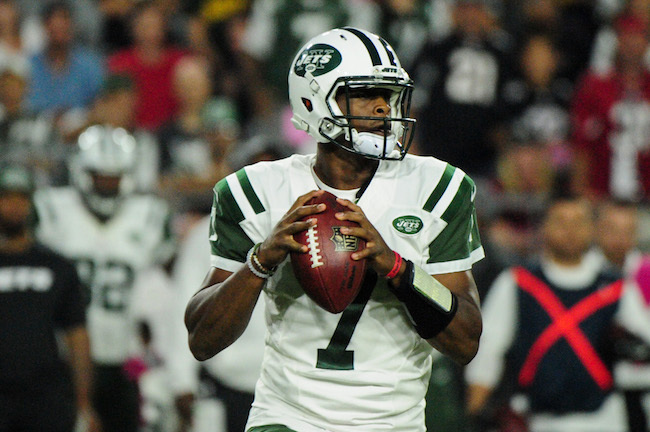 According to press reports, the New York Giants have agreed to terms with unrestricted free agent quarterbacks Geno Smith (New York Jets) and Josh Johnson (New York Giants). Smith, who is coming off of a serious knee injury, will first have to pass a physical before he is signed. Johnson is reported to have signed a two-year deal. Johnson was originally drafted in the 5th round of the 2008 NFL Draft by the Tampa Bay Buccaneers. The well-traveled Johnson has spent time with the Buccaneers (2008–2011), 49ers (2012), Sacramento Mountain Lions (2012), Browns (2012), Bengals (2013), 49ers (2014), Bengals (2015), Jets (2015), Colts (2015), Bills (2015), Ravens (2016), and Giants (2016). The Giants signed Johnson in early September 2016 after he was cut by the Baltimore Ravens. He became the team’s #2 quarterback after Ryan Nassib was placed on Injured Reserve in December. Johnson has played in 29 regular-season games with five starts – the last coming with Buccaneers in 2011. He has completed 96-of-177 passes (54.2 percent) for 1,042 yards, 5 touchdowns, and 10 interceptions. In the 2016 preseason for the Ravens, Johnson completed 41-of-57 passes (71.9 percent) for 365 yards, 1 touchdown, and no interceptions. He also rushed for 87 yards and 2 touchdowns on 18 carries. Johnson is a mobile quarterback with good size. Reached out to sources around league and found that DT Johnathan Hankins is asking for A LOT of money. A lot as in more than $10M per year. 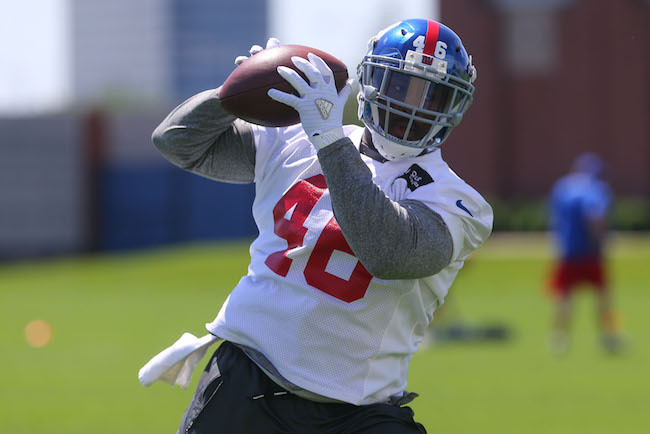 The New York Post, Newsday, and NJ.com are reporting that the New York Giants have released fullback/H-Back/tight end Will Johnson. 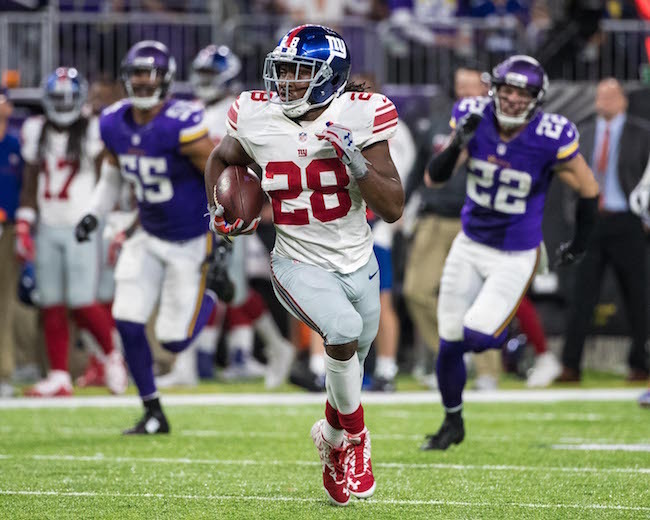 The Giants signed Johnson to a 2-year, $2.3 million contract last offseason, but he missed the entire season with nerve damage to his deltoid muscle. Johnson’s 2017 cap hit would have been $1.275 million. The Giants will suffer $200,000 in dead money by cutting him before June 1st. 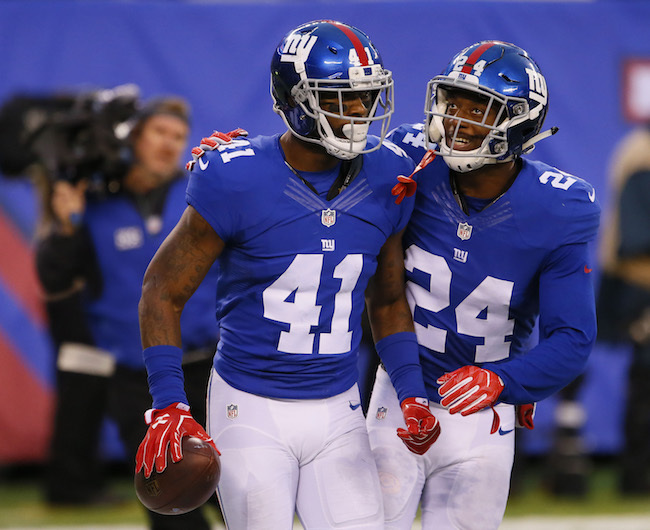 Johnson has indicated that the Giants may re-sign him to a cheaper contract. The Giants signed Johnson as an unrestricted free agent from the Pittsburgh Steelers in April 2016. Johnson was not drafted and signed with the Steelers in 2012. In four seasons with the Steelers, Johnson only missed one regular-season game, and started 20 contests. He has 31 career receptions for 235 yards and two touchdowns. Johnson is versatile with the ability to play fullback, H-Back, and tight end. He is a good lead blocker who can also catch the football. Johnson is a solid special teams player. The New York Giants officially announced the signing of unrestricted free agent offensive lineman D.J. Fluker, who was released by the Los Angeles Chargers on Tuesday. The contract is reportedly a 1-year, $3 million deal. The 25-year old Fluker was drafted by the San Diego Chargers in the 1st round of the 2013 NFL Draft. In four seasons with the Chargers, Fluker has started 59 regular-season games, first at right tackle and then right guard. After a solid rookie season in 2013, Fluker has struggled since and was cut by the Chargers in March 2017. Fluker has excellent size (6’5”, 339 pounds) and strength, but he has struggled in pass protection. Tough, he’s played through injuries but has had issues with the cerebral elements of the game such as picking up stunts. Rhett Ellison's deal is a legit 4 years for $18M. It includes $5M signing bonus, $8M gtd and has just a $2.25 million cap hit this year.